Welcome to Santiago, the capital of Chile! 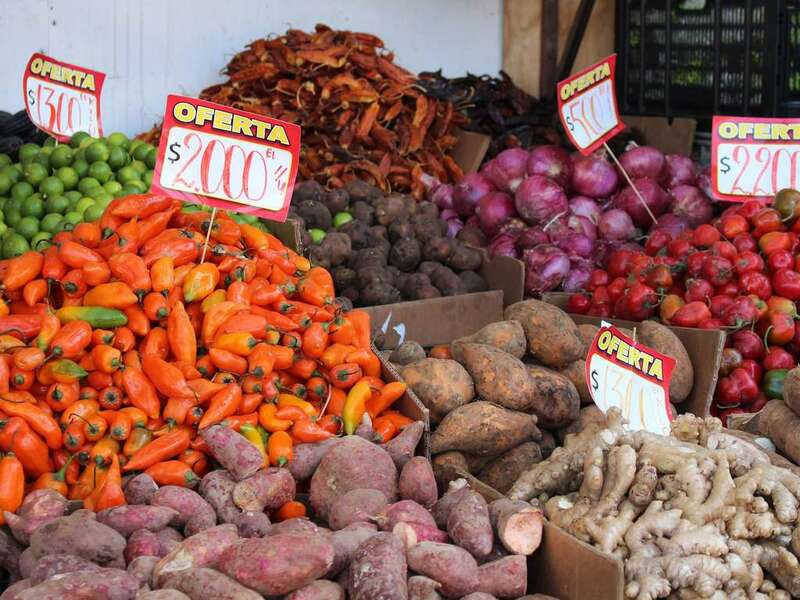 Not only is this city colorful and vibrant, it is home to some of the most renowned markets in South America. 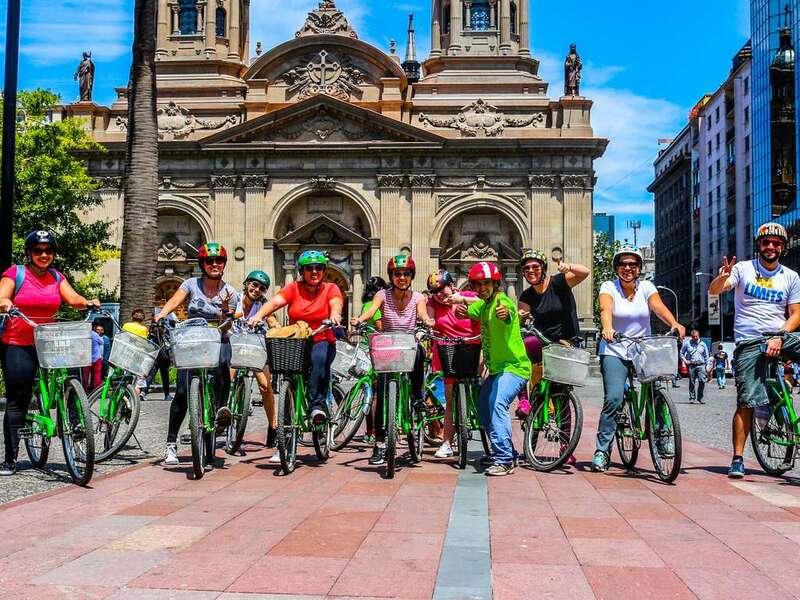 Come with us for a two-wheeled tour off the beaten path of most tourists to experience these markets’ wonder! We will start the tour in the bohemian quarter of Santiago, known as Bellavista. As we steer our way through the cobbled streets, we will experience some of the charm of this neighborhood through colorful graffiti and murals. Next up through Patronato, you’ll discover some of the history in this mash-up of culture. 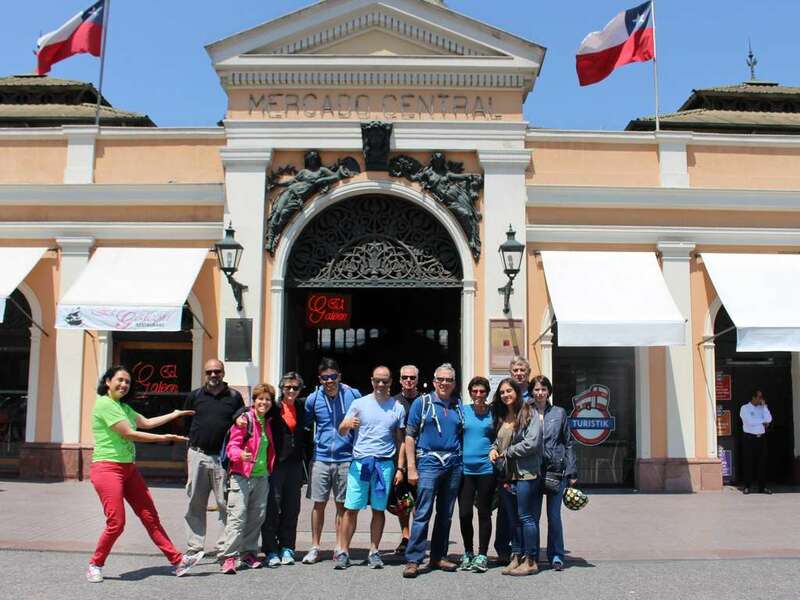 Using the Mapocho River as our guide, we will stop at La Vega Central and Mercado Central to discover these famous Santiago markets by foot. We will finish our tour along a picturesque riverside park. We head to Bellavista, the graffiti-art filled bohemian neighborhood of Santiago. Stop and admire your favorite street art, architecture, and the house of the famous Chilean poet and cultural icon, Pablo Neruda along the way. In this diverse quarter, our guides will give you a brief and interesting history about the Middle Eastern, Korean, and Peruvian immigrants in this neighborhood. You’ll discover how they integrated themselves into the Chilean culture and why they chose to settle in Patronato. 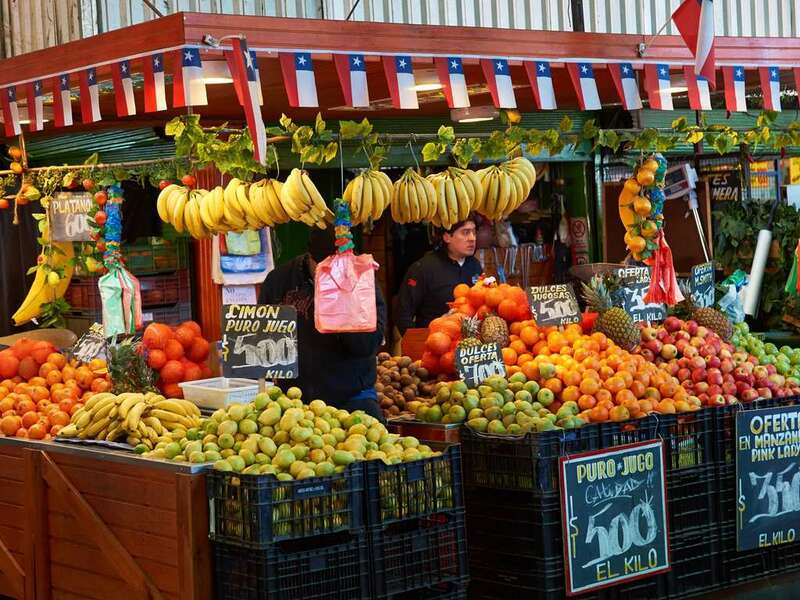 Riding along the Mapocho River, we will run into La Vega Central, Santiago’s largest fruit, vegetable and everything in-between market. 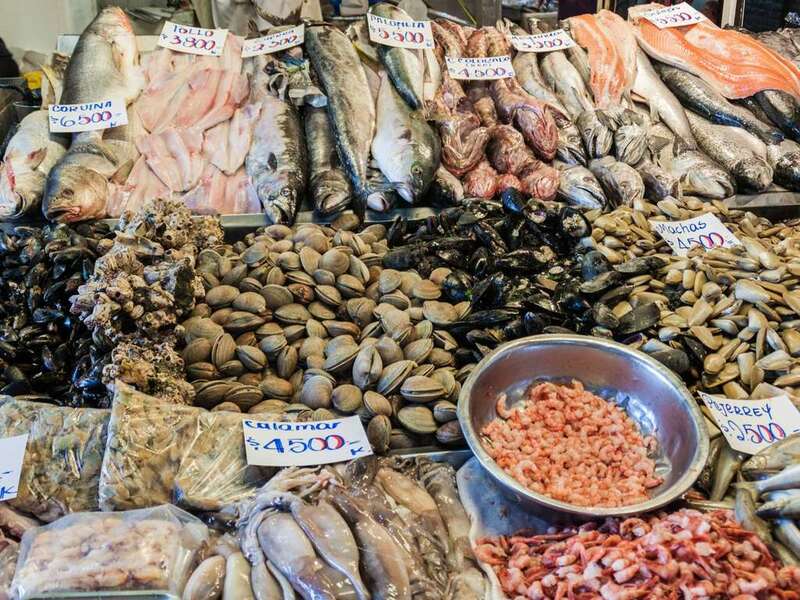 After weaving through these stalls, we will hop back on our bikes across the river to Mercado Central, Santiago’s largest seafood market in the downtown area. Discovering these markets by foot allows you more time to take in the rich culture, sights, and maybe to even find a few souvenirs! 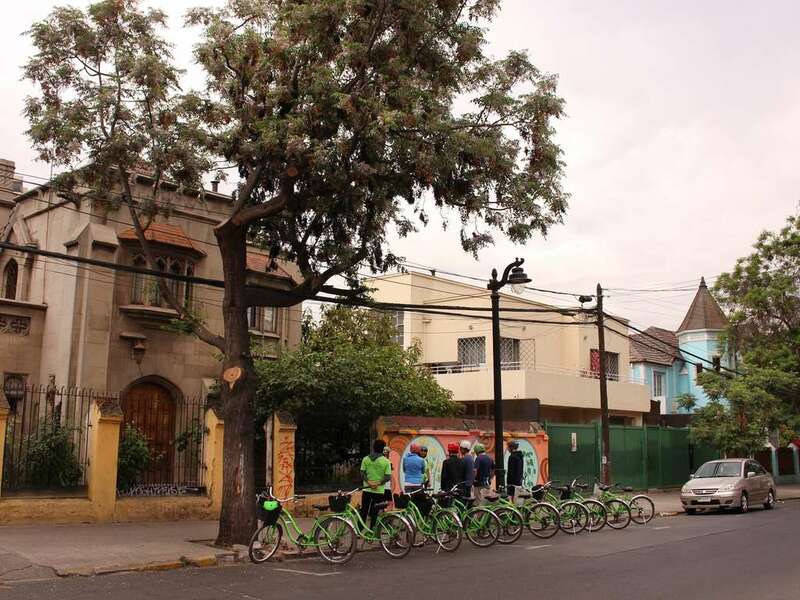 We will head back through this beautiful urban park along the Mapocho River with a brand new understanding of Chilean culture, history, local knowledge, and some amazing places to find a bite to eat.